airPRISM – Wireless Link Technologies, Inc. The innovative airPrism® Antenna features significant advances in noise isolation and beam performance for co‑location deployments in a multipoint network. 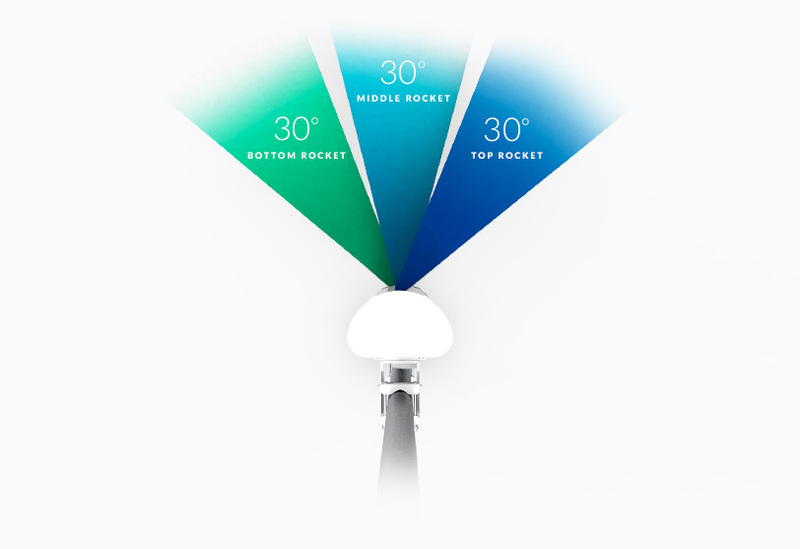 The three Rocket5ac Prism™ radios are installed at the top, middle, and bottom of the airPrism antenna. Each radio independently transmits and receives within its corresponding 30° beamwidth. 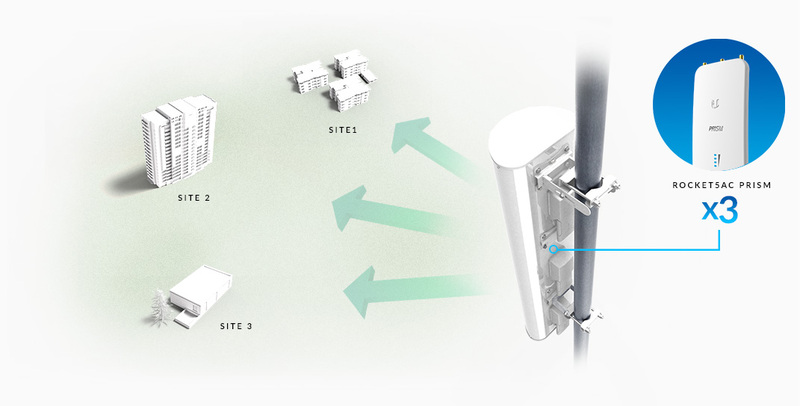 high-density areas for high-capacity, multipoint networks. Mounted on a single airPrism antenna, three Rocket5ac Prism radios maximize throughput in an efficient tower footprint, minimizing installation and tower costs.